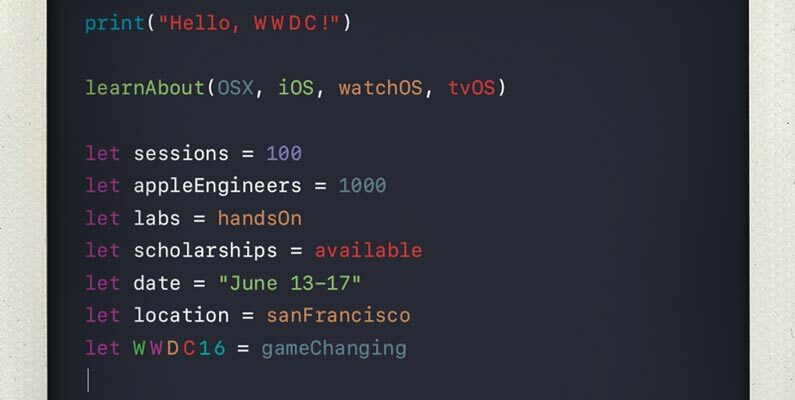 For all of us iOS/watchOS/tvOS/macOS developers who did not succeed in the WWDC16-ticket-lottery: Here are some live tickers & live blogs, so you do not miss a thing of this year’s WWDC16 keynote. As always there is a great way to tune into the livestream from Apple at Monday 6/13/16 at 10am PDT (7pm MET) they send live from Bill Graham Civic Auditorum. What to expect at WWDC16? I would love to see Apple extending its iCloud services with Swift server side code option, as Parse slipped away this year. This would really support creating new sophisticated services with the elegance of Swift. And I’m still missing the augmented reality libraries Apple collected by buying Metaio. It’s about time to enter the augmented reality world for Apple … Facebook entered the AR world with Oculus Rift by stepping into hardware territory, even Microsoft stepped into this new market with its HoloLense … so I’m curious what Apple will do in that marked.